Online journal and ponderings about the Internet, gadgets and photography. Google Photos was re-launched recently during a slick presentation at Google I/O 2015. Besides the unlimited storage for 16MP photos and 1080p videos what caught my interest the most was the demo of the face and people search. The new product was not only able associate photos of the same person, it was also able to do it across a large age span of the person. Some reported examples are "it associated photos of my niece starting with her current age of 6 years and all the way back to 3 months old" and "it was able to discern our twin daughters". So imagine my disappointment after upgrading to this latest Google Photos version, backing up my entire photo catalog (30,000+ 16MP photos) and not being able to find the face/people search. I suspected some European or UK privacy laws being the root cause why Google hasn't enabled it in the UK and a few searches later my suspicion was confirmed. Since it seemed to be geographically restricted I was curious to see what would happen if I tried the application from another location. Virtual Private Networks, a.k.a. VPN, are very handy to make your internet traffic to appear from a different location than you are. All your traffic is tunneled to an exit point of your choosing, for example a data center in New York City. To Google Photos service you then seem to be located in New York City, USA. One such easy to use VPN service for android is Tunnelbear but there are many others. Tunnelbear offers 500 MB of free traffic and you don't need much more than 20MB to get this set-up. In summary you want to delete the Google Photos application data and re-start the application while being connected to the VPN. This will trick Google Photos into believing you are located in US and the feature will be switched on. Once the feature is switched on you don't have to re-connect to the VPN; the feature will remain on! Detailed instructions: delete the data from Google Photos, turn on airplane mode, turn off location services, connect via Tunnelbear, start up Google photos, go through the introductory 4 steps, go into settings and turn on "Group Similar Faces". Success, you now have your photos organised by many, many different people present in them. The face categorisation appeared as soon as I connected via VPN. There was no initial time for google to build up a face database for my photos. 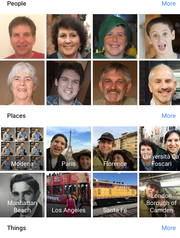 This really seems to suggest that all photos added to Google Photos are categorised by face. The search feature is just hidden in certain geographical locations to comply with local laws. Is this really in the spirit of the law or just cheat? You decide! This entry was posted at 12:25 PM. Nice one, worked for me. Thanks. Your procedure for enabling the face grouping on my mobile phone worked. Very much too my surprise when I then visited photos.google.com on my desktop, there too the people search had been enabled. Even more surprising though: the desktop version uses different face groups. Where on the mobile phone for example there were two groups for my daughter at different ages, there was only one on the desktop. Instead the desktop version has two groups for someone else. How can it be that Google is using different face groupings for mobile and for desktop? I used a vpn to enable Google photos face recognition on an iPhone in the UK. I'm now having failures syncing photos to google photos, not sure if these failures are linked to the face recognition trick. Anyone else seen sync failures after using the vpn trick? Worked for me on iPhone. Only problem is, there are only groups created 6 people and I want to do more. The help says there should be a ''more" button, but this only appears for places and things and not people. Anyone else have this problem? This workaround works perfectly on iOS!! No issues whatsoever.. You don't need to uninstall the App, just log out, activate VPN and log back in. Decide what? The law here is to protect me and my privacy. If I decide I want to reveal this to google I should have no issues with this. Why doesn't EU or our local legislation authorities deal with real problems instead of playing nanny state. Bah, maybe we in Eastern Europe have a different view of civil liberties. Good article nevertheless. Anyone manage to get this working recently? This trick will not work if you have your home location set in your google account. After removing my home location from google maps it works! Worked for me on iPhone. As said above, just remove your account in Google Photos first, then start up VPN, then sign back in to Google Photos and it works. Tells you face recognition can be switched off in settings if you wish to do so. Worked thanks! Android. Did not have to unistall just log off from the photo app + vpn + log back on + disconnect vpn = all good with face reco! To clarify, do not start deleting your photos! What is meant by deleting data is the behind the scenes system files. Firstly bring up the Recent Apps list (hold down the Home or Back button) and swipe Photos away if it is running so it disappears from the list. Next follow the instructions in the article about installing a VPN. Now you can turn on Aeroplane Mode and turn off Location Services. (Hold down power button for Plane icon and Location icon is usually in the swipe down Notifications menu). To remove system files for Photos- On Android go to Settings and find the Application Manager. It might be under More... Once there scroll down to Photos and tap it. There you need to tap the Clear data button. It will give you a warning but go ahead. On iOS this doesn't seem to be necessary. You may also get it to work by just signing out of Photos instead. Remember to turn Aeroplane / Flight Mode off again when you're read to continue following the rest of the instructions! Also, if you removed the system files for Photos all of your settings will have been reset for the app so you'll have to put things back as you like them, including which folders on your device you'd like backed up. It worked for me in the sense that the "Group similar faces" setting became available and a "People" album became available. No faces were recognized, though, it's just an empty album. Any tips? Give it some time for Google Photos to index your faces. Some time I would give it 3-7 days. Works as advertised. Great, thank you so much! I wonder what other country restrictions would be this easy to circumvent. Google does a lot of silly limits for EU people. Works great - thanks for sharing and yes as the last post mentioned how annoying its disabled for Europe. Another brilliant side effect of doing this is that Google Play Music has got SIGNIFICANTLY better with access to podcasts and radio stations based on listening history and recommendations! AMAZING UPDATE! Google bring this to the EU & UK! Actually, you don't need to uninstall the app or anything – I just ran VPN on my computer, changed language/country to ENG/US and went to photos.google.com and got a popup that the feature was available. Could not tag anyone or add faces. But then I logged back in a few hours later and then it alerted me about starting naming faces. After that I switched back to my language/country and turned off VPN. And it all still works :-) in the app as well (iOS). This doesn't seem to work. Although the face grouping option is there on Android app, you can't turn it on. It says 'check in albums later to see your photos organised by faces' but then the slider reverts to off. Is it just that i have to wait a bit or does that mean it doesnt work? Worked like a charm in Lithuania. And no need to clear app data, opening the app with VPN activated was enough for me. A suitable replacement to Picasa! Worked for me in Ireland! The people album is now present, but empty. I read it might take some time to populate itself. Thanks for the guide! Work file in Greece too!!!! I want to ask if the setting and the Peaple group will be there if i dont enable vpn? adn if i update the google photos app again! Detailed instructions: delete the data from Google Photos, turn on airplane mode, turn off location services, connect via Tunnelbear, start up Google photos, go through the introductory 4 steps, go into settings and turn on "Group Similar Faces". Deleted data from Google photos. 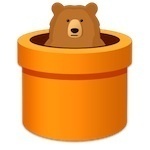 Connect via Tunnelbear?? Can't use the app because no internet connection with airplane mode! My attempts seem to have done something! Now, when I open Albums, there is a "People" section. Also the "Group Similar Faces" option has appeared in Settings - and it is activated. However, nothing appears in People album, and Search does not contain any People options. Had to wait a while (24h or so) until People were actually visible. Have not tested whether there are any problems with uploads but will report back if any do appear. Hey, I tried this out and it worked fine but, it appears to have changed the "create a movie option". I no longer have the option to change the theme of the movie or the transitions etc. I've tried reversing the process, uninstalling google photos etc, but google photos still wont return to its previous state. Any ideas on how to get it to return to normal ? Scrap my last post. Google have removed themes from the app, for some reason. David Kaspar is a recently married, London dwelling, gadgetholic, photography loving, Java kind of guy.